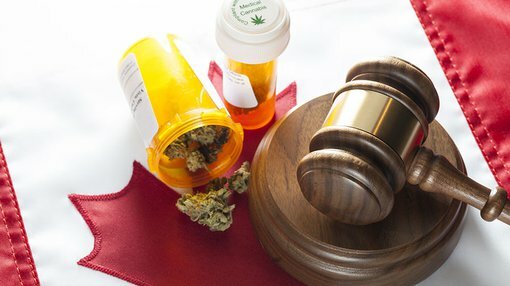 In an important development for MMJ Phytotech (ASX: MMJ), the Canadian Federal Government has released its final report into Cannabis Legalisation and Regulation (the “Report”). The report was based on findings and recommendations submitted by the Health Canada instigated Task Force with one of the key areas of focus being the need for a safe and responsible production system with the development of a regulatory framework to support commercial production by the private sector. There is significant relevance for MMJ with its Canadian based United Greeneries Holdings, a licensed producer under Canada’s Access to Cannabis for Medical Purposes Regulations (ACMPR), strategically positioned to build out large-scale horticultural operations to meet forecast commercial production demand for the Canadian recreational cannabis market which, according to industry analysts, is forecast to reach between C$7 billion and C$10 billion on an annualised basis. With today’s report stating that the current ACMPR arrangement could be used as a starting point for a new national system for legalised and regulated cannabis production, the management of MMJ is upbeat about the prospects of its United Greeneries business prospectively having a first mover advantage in the recreational market. Importantly, there doesn’t appear to be a long lead time in relation to the report’s findings. As indicated below the Canadian government has indicated it is committed to the introduction of a new regulatory systems by 2017. As a backdrop, the United Greeneries business will be strengthened following the reverse takeover of TSX listed Sol Growth Corp, which will facilitate exposure to the much larger and faster growing North American cannabis market. MMJ’s shares responded positively to the news, and were up by more than 5% at Midday. However MMJ is still a speculative stock and share trading patterns and past performance should not be used as the basis for an investment. Those considering this stock should seek independent financial advice.